By Tanu Priya, Siddhartha Law College, Dehradun. 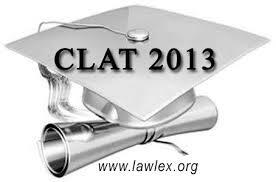 The much awaited Common Law Admission Test (CLAT) 2013 results have been declared on May 31, 2013 for 27,627 national law university LLB aspirants and LLM aspirants. The highly competitive and tough law entrance exam which helps law aspirants get into the prominent National Law Universities in the country, was conducted in various cities in India on May 12, 2013. Common Law Admission Test (CLAT) 2013 examination was held in the State capital on Sunday in which more than 3000 candidates appeared for admission in five-year integrated BA-LLB course and LLM course. The examination was held in five examination centres in the State capital. It is worth mentioning that number of aspirants of CLAT 2013 appearing from the State capital is among the highest with Lucknow and New Delhi. The examination was organised in 20 cities of the country where over 30,000 candidates appeared for admission in 1685 seats of integrated under graduate course and over 800 for post graduate course. As per the review the examination was not tough and the standard of paper was also moderate but the introduction of negative marking will surely affect the results. In the Under Graduate Programme (LLB), Dhruva Murari Gandhi secured All India Rank 1, followed by Ipshita Bhuwania and Shubham Jain in Rank 2 and Rank 3 positions. While Gandhi scored 160.75 marks, Bhuwania and Jain scored 159.25 and 159 marks respectively. This year’s top score is more than last year’s – which was 159 marks. Last year, NLSIU Bangalore’s general list cut-off closed at 147 marks for Rank 58. This year Rank 58 has obtained 140.5 marks. It is to be noted that 25 per cent negative marking was introduced in CLAT this year onwards that has led to docketing decimated marks and a lowest score of 1. The top 200 ranks are all from the General Category but two – Rank 60 and 103. Negative marking has helped loosen up the range of top 200 marks to 29 this year from 20 last year, and smaller groups of people tied at the same score – the group of 10 tied at 135.25 marks from rank 134 to rank 143 is the biggest tie in the top 200. The new rule deducting 0.25 marks for each wrongly answered question took its toll mainly on the Legal Aptitude and the Mathematics sections. It was an easy but lengthy paper. In the LLM list, the highest scorer was Neha Sharma, who scored 90.5 marks. The LLM candidates were yesterday allowed to submit fresh law school preferences online to the CLAT core committee before June 5, in view of the mid-year restructuring of the traditional two-year LLM course. Previous ArticleInternship at Madhya Pradesh Human Rights Commission.